Before aught, the Dragon Inzaa existed. In the vast emptiness, Inzaa grew restless and wroth and began to spin upon herself. Such a violent thrashing and churning did this become that the Dragon ripped a shred from the fabric of nothingness and from this hole all manner of energy and matter spilt into the universe in a savage, churning vortex: the Maelstrom. Inzaa twirled about the Maelstrom for ages untold as time and space and matter and energy were cast off into the universe. Thus the beginning of worlds . . . . 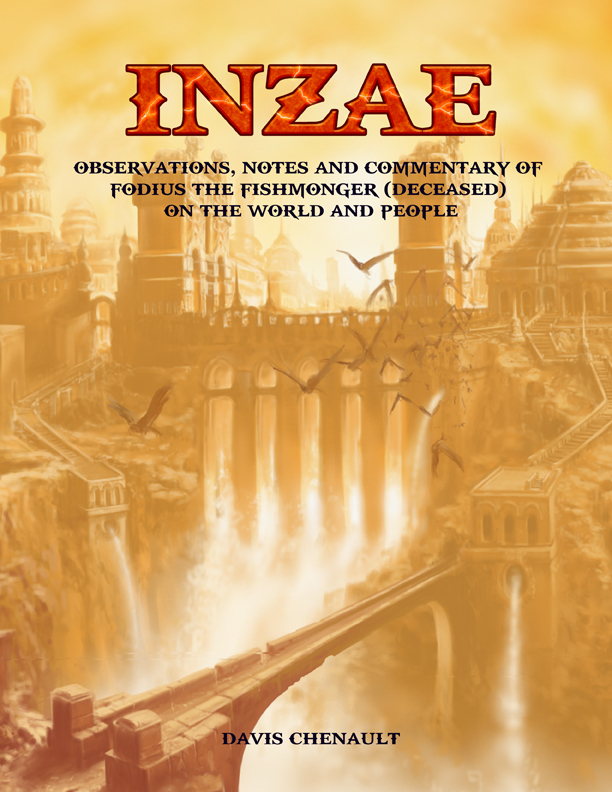 This is a fantasy campaign setting with everything you need to know to get started in the world of Inzae, from her extraordinary mythology to the lands of her sprawling continent, the peoples who walk the darkened forests and high mountains and the lords who rule them.